Sprint just announced that it is giving some love to its subscribers who aren't participating in the Apple-Samsung duopoly kabuki. The carrier will be extending its phone leasing offers to all handsets in its roster, not only iPhones and Galaxy S line devices. 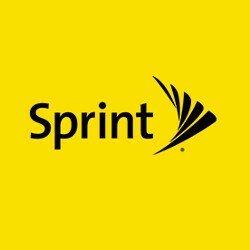 This will open up more frequent upgrades to all Sprint phone users, as they will be able to lease any handset with the ability to upgrade from it after one year, just like they could do with, say, the iPhone 7 or Galaxy S7. So far, this option was also available for other phones, but did cost $5/month extra, and now it's free for all. According to Robert Hackl, Sprint's senior vice president of leasing: "We want to give full flexibility to our customers because you don’t want to get stuck with an old phone." That's the spirit, and, coupled with the great deal on unlimited that Sprint has going at the moment, it might lure more people in the carrier's loving embrace, at least where Sprint has coverage.